I drive about 60,000 miles a year as a jockey – and on top of that there are air miles to Ireland, the continent and North America. Today, though, I could almost walk to the races as I’m at Thirsk, the closest racecourse to my home. The action is high class on the South Downs and more than a few of the best performers will be seen again later this month in the Welcome To Yorkshire Ebor Festival at York. Though Goodwood is indeed glorious, it is a long way from my own bed and I’ll confess my sleep is never helped when good rides come close but I don’t get the fabled cigar! I was especially gutted that Suedois was just denied in the Group Two Lennox Stakes when we were nabbed on the finishing line. A first victory in Britain, for the colt owned by Yorkshire businessmen Steve Parkin and George Turner, surely must come soon. Frustratingly, my Royal Ascot winner, Soldier’s Call, got knocked at the start in the Group Three Molecomb Stakes, eventually finishing third. He still has an entry in the Group One Coolmore Nunthorpe, while the winner, RumbleInthejungle, is poised for York’s Group Two Al Basti Equiworld Gimcrack, so look out for them both at York on Friday, August 24. Urban Fox ran a great race when second to the Investec Oaks runner-up Wild Illusion in the Group One Nassau Stakes on Thursday. 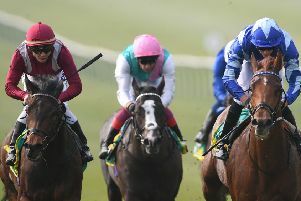 The winner could be seen at York, too, in the Darley Yorkshire Oaks. The Welcome to Yorkshire Ebor Festival, between Wednesday and Saturday August 22-25, is already inked into my diary and I will be looking to ride some excellent horses. 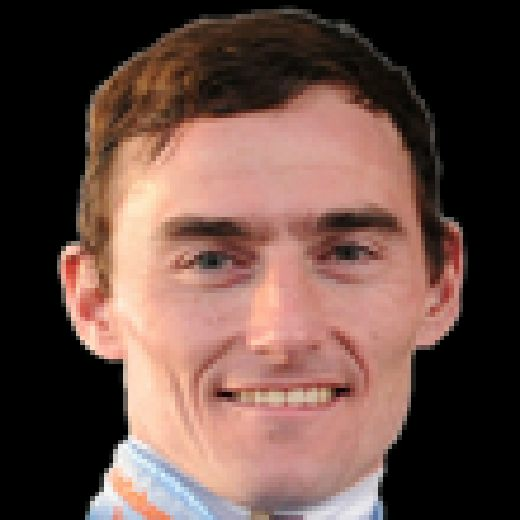 After being top jockey during the Go Racing in Yorkshire Summer Festival, which concluded at Pontefract last Sunday, I’ve got the appetite for more winners on home soil. With that in mind, my best chance from a quintet at Thirsk would be Jeremiah in the 4pm handicap. After knocking on the door at Chelmsford and Doncaster, trainer Charlie Fellowes stepped up the three-year-old into the Group Two Queen’s Vase at Royal Ascot, where he finished mid-division. So, he’s got a great chance this afternoon. The charms of Normandy beckon as Larchmont Lad goes for the hugely competitive L’Arc Prix Maurice de Gheest. It’s a hot race tomorrow with 20 runners and he’s up against it, but my fella has improved with every run this season so bids for his first Group One. Deauville is a racecourse I like and a winner’s toast in Calvados would not go amiss. Back home, the big betting race is the Stewards’ Cup on the final day of The Qatar Goodwood Festival. David O’Meara runs two – and the one I would pick is Watchable, who won for me two weeks ago at Pontefract. In the saddle at 3.40pm today is Martin Harley. Good luck to both! The next racing at York is the highlight of the calendar – the Welcome To Yorkshire Ebor Festival between Wednesday and Saturday, August 22-25.